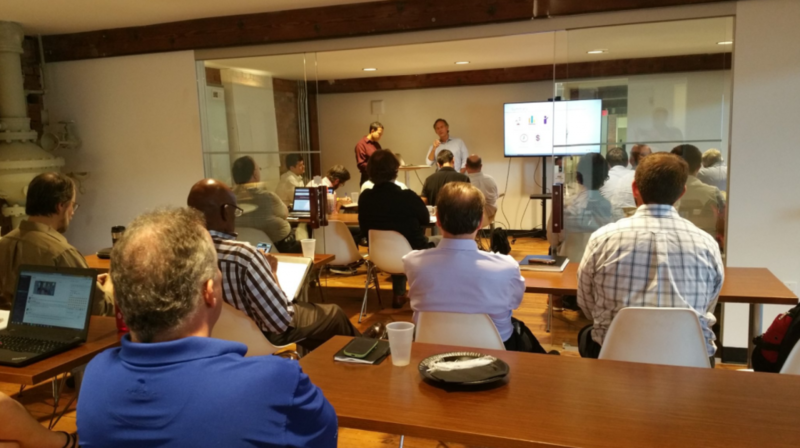 Bridgera’s own Ron Pascuzzi and Joydeep Misra were featured speakers at a RIoT Lunch and Learn event held on August 10th, 2017 at HQ Raleigh. As an Internet of Things Software provider, we have been pitched countless “Great Ideas”. Many of these ideas function great as a proof of concept but fall apart when faced with the demands of an enterprise solution. With IoT, software tends to be an afterthought when turning that great idea into a viable enterprise grade product. More often than not, the majority of effort is spent on engineering a great physical product, with very little time and money for developing a software solution that can scale.